Would definitely buy again. 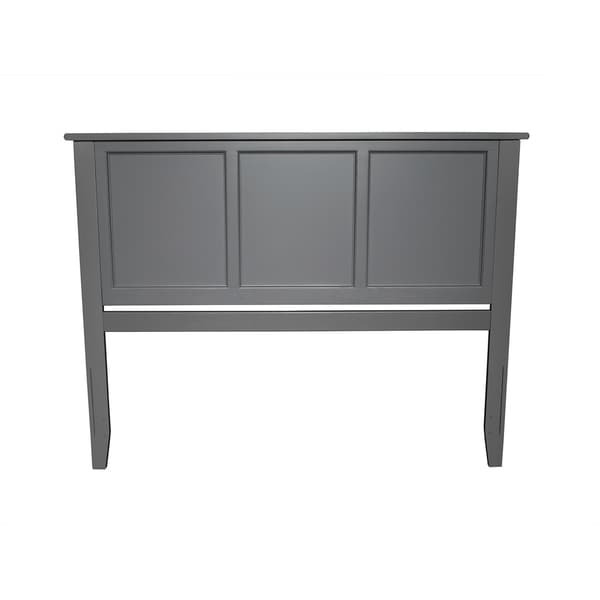 Headboard is sturdy and nice shade of grey..looks like picture. Looks great but you have to have your own spare hardware if not using the frame designed for it. It is sturdy when assembled but you must purchase the frame that goes with this headboard or have your own hardware and you will have to modify slightly by drilling mounting holes. It is very sturdy and still functions well with modifications. I would recommend even with the modification. Love this headboard!! Goes perfect with my redone bedroom. The gray is the perfect color. Easy to put together and works well as a neutral. the feet do not hit the floor, so it doesn't keep the bed in place. finish was cracked in a few areas; but it was an inexpensive fix. Face of the headboard was scratched and one of the support legs was cracked all the way across. Very disappointed.